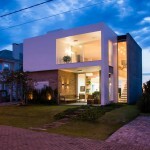 Seferin Arquitectura have designed the Maritimo house in Rio Grande do Sul, Brazil. 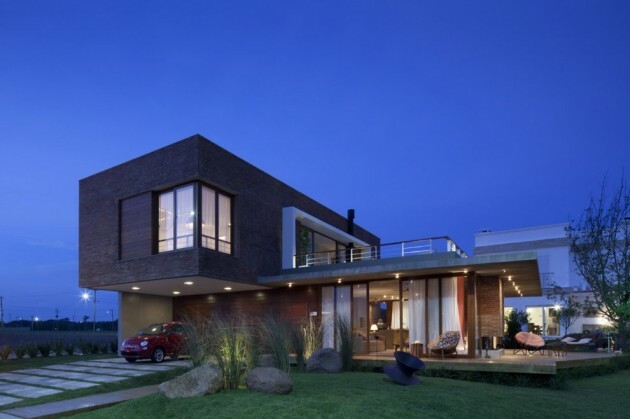 The shape of the residence is very clear, divided in two distinct blocks. 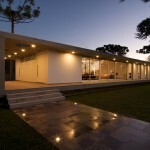 A two story linear brick volume and a ground level glazed block. 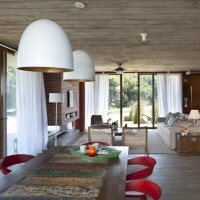 The living room, dining room and the gourmet area, are fully integrated. Glazed, with glass sliding doors, this block is surrounded by a balcony deck high ground. 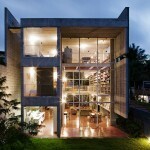 A slab of concrete makes the cover of this volume, sheltering in a second floor terrace with magnificent view. The brick fireplace is outstanding volume of the environment, and can also be used outdoors on the porch. On the ground floor, the longitudinal block houses all the service of the house, facing an external service circulation with their own access, and a guest suite with private balcony facing the garden back of the house. 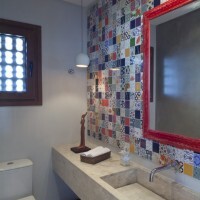 On the second floor, three suites are connected by a main circulation that opens on to the terrace overlooking the lagoon. The master suite forward on the floor, making the coverage for the car. A large window with view over the area of preservation of the condominium is the focal point of the suite. 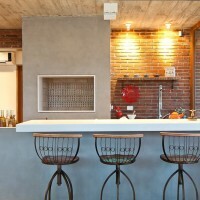 Project of the same office, the decoration of the social area, seeks the same language of the house architecture. 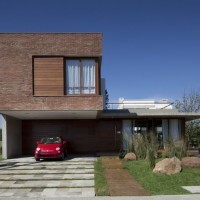 The materials used externally – brick, wood and cement – are also used internally, bringing the same elements of the facades into the house. 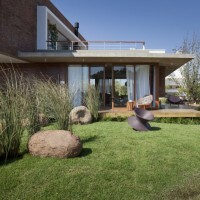 These materials allows the house to merge with the landscape. The selection of furniture seeks a balance between rustic and contemporary, mixing design pieces and elements with natural materials. 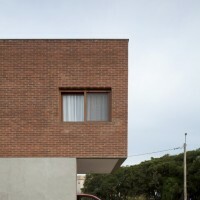 Visit the Seferin Arquitectura website – here.